On Friday, the Government Affairs Industry Network (GAIN) partnered with the Public Leadership Education Network (PLEN) to host the Mentor Committee’s first DC Decorum event of 2018 – GAINing Confidence: Professional Protocol & Dining Etiquette Workshop. 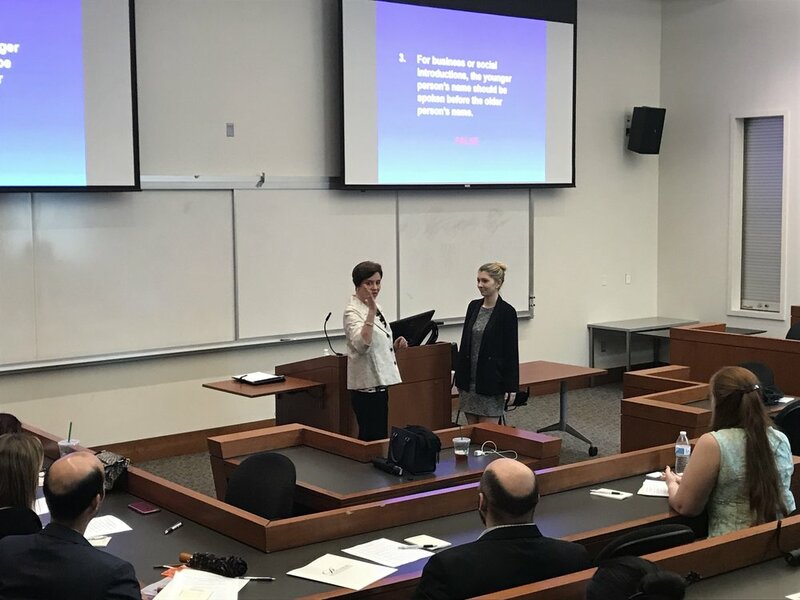 Generously hosted by George Washington University’s Graduate School of Political Management, the event was a half-day workshop on the art of business etiquette, designed to give attendees the knowledge to act with confidence in any business situation. Michelle Pappas from Potomac Protocol & Etiquette led the workshop, bestowing upon attendees etiquette knowledge from her 15+ years of experience. 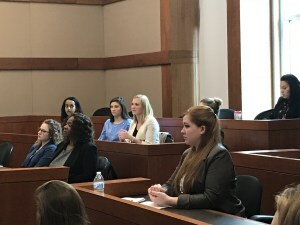 The event began with a classroom-style lecture on the topics of self-presentation, making a positive first impression, effective communication and networking, the art of the handshake, writing thank you notes, selecting proper attire for every type of event and other essential skills every working professional should master. 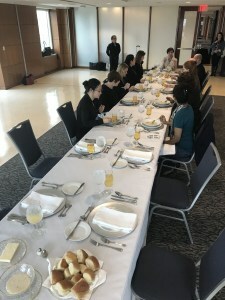 The second half of the workshop featured a formal sit-down luncheon in which attendees learned proper dining etiquette – both American and Continental style.The luncheon was held in GWU’s gorgeous City View Room, named for its spectacular view of Washington, DC. GAIN would like to thank PLEN for co-hosting this fantastic event with us, as well as George Washington University for hosting us in such a gorgeous venue. We look forward to teaming up with PLEN and GWU again in the future. Of course, we’d also like to thank our wonderful GAIN participants for helping make GAIN and our events a success. Please join us for more GAIN events throughout 2018!